Indian economy is a cluster of more than 30 million small and medium businesses along with large enterprises which are lesser in number. Majorly, these SME’s powers the growth of Indian business industry. This large SME pool presents a lucrative opportunity for Indian product and service companies only if one is able to tap it. One such company which is creating a presence among Indian SME domain is “VoiceTree”. The cloud telephony startup, offers business call management solution with an Integrated IVR under its flagship product MyOperator and an automated order confirmation system on the cloud facility through its initial product, CODAC. The startup was founded in 2010, though it was only in this March that things took a major turn for the company, in a positive way.It was the launch of MyOperator, which subsequently became its most selling product.The product helped the cloud telephony startup, to scale up to more than 300 customers from 10 in a period of less than 8 months. With MyOperator, VoiceTree targeted the large SME sector, mostly businesses which have an offline presence, though it also found a niche segment in the ecommerce industry. In fact, the customers of MyOperator hails from various industry verticals, be it offline businesses like Berger Paints, political party like Aam Aadmi Party, religious groups such as Art of Living or ecommerce stores like Flaberry. Other product by the startup, CODAC, targets enterprise sector and bags Snapdeal.com, Lenskart.com and many other as its clients. Where MyOperator is a call management and tracking system on the top of an IVR, CODAC is more of an order confirmation system on the cloud. 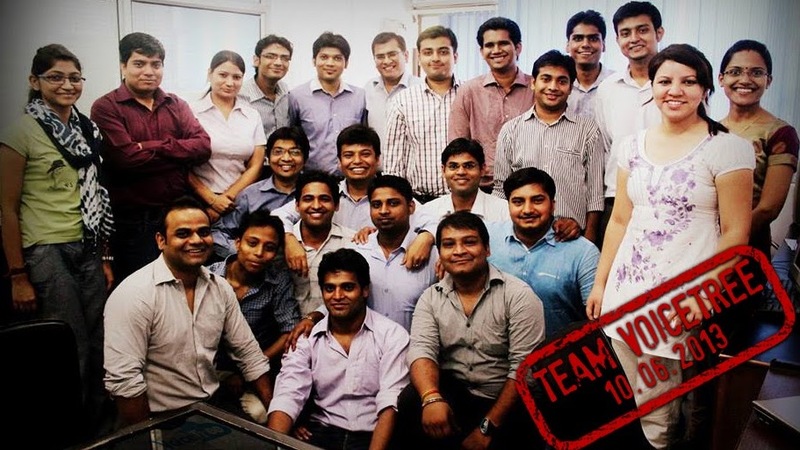 Though various other cloud telephony players existed in the market before VoiceTree, still the Delhi based startup was able to strengthen its position, now turning profitable with a team of more than 40. “Effective marketing and customer acquisition strategy has a played a big role for us”, says Ankit Jain, Founder, VoiceTree. Though our price is on a higher side in comparison to our competitors, but enhanced product features and the product design which suited the Indian SME’s has been the key factor for our whatsoever success so far. Small and medium businesses in India are not so much comfortable with Internet and concepts of cloud or SaaS, they just know about their business. We designed the product for them, with features they can easily grasp, while they focused on their business and daily routines, adds Jain. The future of the startup looks bright as now it plans to go global and launch more features in its existing product, MyOperator. Also there are more products which are in the development stage which once launched, will help the company to expand its offerings for more business verticals. Though journey so far has been very exciting and we did it while bootstrapping but now its time when we are looking to raise some capital for executing our more ambitious and larger goals, signs off Ankit.